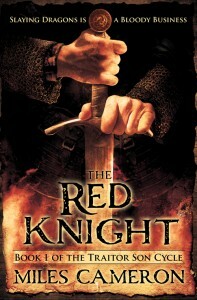 Miles Cameron on THE RED KNIGHT – available now! THE RED KNIGHT by Miles Cameron releases in the US today and we’re thrilled to see others enjoying this novel as much as we have! Check out some of the great reviews below. 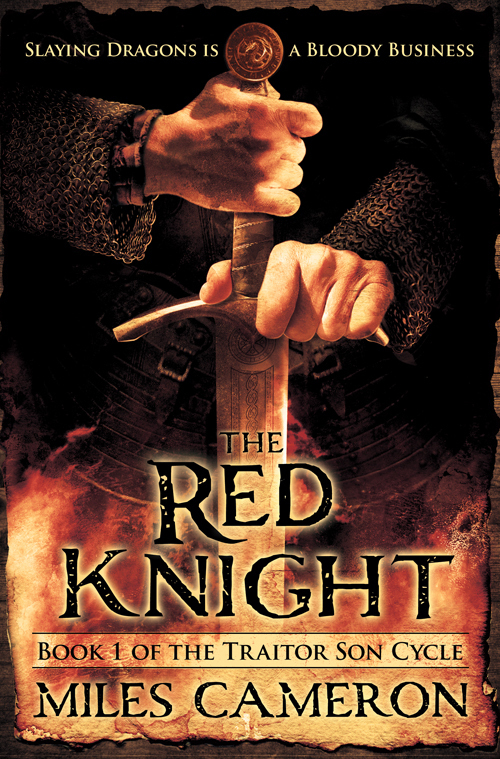 Find out more about THE RED KNIGHT and the author’s combat experience in this interview with Miles Cameron or read the first chapter now. What inspired you to write The Red Knight? I am a passionate fan of the cult of chivalry and all that entails.. I honestly can’t remember whether I read T.H.White’s Sword in the Stone or Steinbeck’s ‪Acts of King Arthur and His Noble Knights‘ first, but I read them close together, and they were followed by a visit to the cloisters in NYC. And I love the wilderness–the real wilderness, where you are five miles from a road. I guess Red Knight puts the two together. Where did the first seeds of the idea for The Red Knight come from? The Traitor Son series was born like Athena from the head of Zeus. Okay, that’s a bit strong, but I was looking at an icon of Saint Michael and the Dragon (it hangs in the Met) and my mind wandered–about how monsters might have really worked, about why monsters are such a common motif–and about exactly how Saint Michael got his red-brocade covered breastplate to do up. I sew, I tinker, I make armour, and I reenact. That image of Saint Michael asks so many questions–often, when I’m stuck on The Red Knight, I go back and look at it again. Why does he have a buckler? With a long sword?